Already commonplace in South and Central America, bag-wrapping services are gaining a foothold in the North American marketplace, with a high concentration in Canadian airports. Ottawa International Airport (YOW), for instance, is currently testing the concept in Ontario. 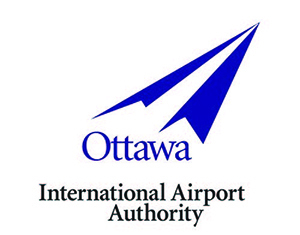 "Although we have a smaller international passenger volume, we are always motivated to innovate and offer improved levels and types of services to passengers, while at the same time growing non-aeronautical revenue," says Coleman Swartz, director of Commercial Development for the Ottawa International Airport Authority. In June, YOW entered into a six-month trial period with Safe Bag to confirm operational and financial viability of the new passenger service. The company's existing operations at airports in Montreal and Vancouver apparently helped "seal the deal." Rudolph Gentile, founder and executive chairman of Safe Bag, explains that passengers gain peace of mind when their luggage and other checked items are securely wrapped in plastic film. Airports, in turn, generate revenue from a concession that requires a minimal footprint in areas not otherwise focused on retail. Facility operators gain additional confidence that their baggage handling systems will not be disrupted by home-wrapped bags. "Baggage protection services are very popular in Canada," he reports, citing customer enthusiasm at major airports in Toronto, Montreal, Vancouver and Calgary. "Having seen the growing demand, Ottawa Airport wanted to offer this service to its international passengers as well." YOW personnel consequently consulted with several Canadian airports that were already offering baggage protection services. They also sought input from internal stakeholders such as airline partners and security agencies before searching for a specific vendor. "Naturally, we wanted someone experienced-particularly within the Canadian airport context-who would stand behind and support the product offering and the technology being used," Swartz explains. "Safe Bag appeared to stand out due to the sophistication of their machines, ancillary product and accessory offerings and their baggage insurance product, which allows for bag location in the event that a bag is reported lost." Safe Bag offers baggage tracking services through SITA WorldTracer, with refunds ranging from $100 to $4,000 for delayed arrival, damage and loss. "We did advance testing with wrapped bags of different sizes, shapes and weights and tracked them all the way through the airport's brand-new state-of-the-art baggage handling network," Swartz notes, referencing the system YOW debuted last year. With the six-month trial period still underway, it is too early to detect usage trends. "We are working to increase visibility and awareness, as this is a brand-new offering to Ottawa passengers," he explains. "We are working hard to promote the service and will be constantly reviewing with our partners." 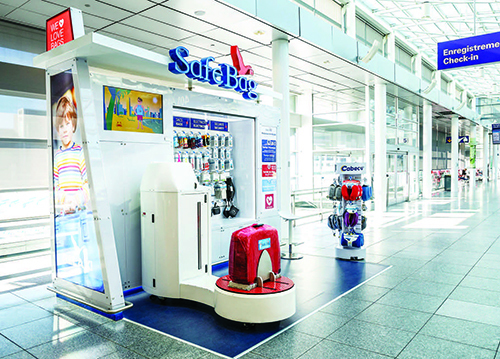 YOW and Safe Bag personnel agree that the location of wrapping stations and proper promotional support are important factors. "Because the majority of customers using the service are international passengers, and because many opt to purchase the service shortly prior to checking in their luggage, the physical location of the machines in international terminals is key," Gentile emphasizes. "As to marketing, we need to find ways to promptly inform passengers about the existence of our service and the location of our machines. In our experience, it is vital that passengers know where to find the service the moment they enter the airport." If YOW decides to continue offering the service after its half-year trial, the airport authority will negotiate specific license terms with Safe Bag based on the economic outcome of the pilot. Officials are undoubtedly hoping for results similar to those at Canada's busiest airport, Toronto Pearson International (YYZ). YYZ has been offering passengers baggage protection service from Secure Wrap for about 11/2 years. The Greater Toronto Airports Authority added the option to its concessions lineup to fulfill passenger requests, explains Giovanna Verrilli, the authority's associate director of retail and food/beverage programs. 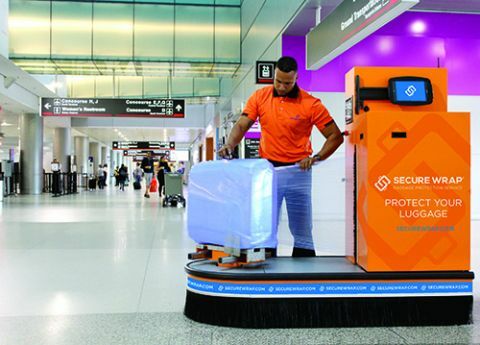 In addition to providing a sought-after customer service and new revenue stream, the Secure Wrap service reduces the use of homemade wrapping options, which can cause backups in the airport's baggage handling system, explains Verrilli. "Our top priority was finding a vendor with a wrap material that would be safe in our baggage system and would allow for additional security screening where necessary," she comments. "Secure Wrap came to the table with a new innovative wrap that was tested on site and passed with flying colors. They also provided a customer service plan that aligned with our vision: 'passengers are our passion.'" In developing a program for YYZ, Secure Wrap drew on its experience at several U.S. airports, including John F. Kennedy International in New York and Houston's George Bush International. The company has worked hand-in-hand with TSA since 2003 to re-wrap any luggage opened for secondary inspection for no additional charge, notes Nicholas Valdespino, vice president of operations. In a broad sense, passengers purchase the optional wrapping service to protect their luggage and other checked items. Valdespino explains that specific motivations fall into two main categories: security-preventing theft of items inside as well as stopping others from placing contraband into baggage; and aesthetics-shielding bags from scuffs, tears and inclement weather. As for the wrap material, Valdespino explains that it's a proprietary plastic designed specifically for personal baggage and the airport equipment that handles it. "Our plastic was designed to prevent any cling on the exterior of the film," he comments. "Baggage covered in our plastic is able to travel seamlessly from belt to belt." Because the special material cannot be resealed, it's easy for travelers to tell if someone has tried to open their bag, notes Valdespino. In addition, the wrapping is an instant deterrent to those looking for bags to compromise. "They see the plastic and choose another bag that's an easier target," he explains. Before signing a contract with Secure Wrap in February 2016, the airports authority required thorough testing, notes Verrilli. Working hand-in-hand with airport officials, the company test-wrapped and inducted over 100 bags on various belts throughout YYZ's baggage handling system. "We worked closely with the baggage team to ensure the material met their expectations by conducting extensive testing, which proved the material worked well with our systems," Verrilli relates. Ultimately, the airport opted to open four bag-wrapping locations in pre-security areas-two in Terminal 1 and two in Terminal 3. Secure Wrap provided input on placement based on its experience with high-volume flights. "We have had very positive feedback about the new service," Verrilli reports. Secure Wrap personnel go "above and beyond" to provide exceptional service to rewrap luggage that has been wrapped at home for better protection and to ensure that it moves through the baggage system smoothly, she adds. "Sales have increased," reports Verrilli, noting a distinct increase over the busy summer months. "We are looking forward to continuing to work with Secure Wrap to market the service and build their business."